A very well established company comprising of several experienced and dedicated DJs that will entertain at your wedding reception, birthday party, your kid's party with games and prizes, and also karaoke. All of our equipment carries a PAT test certificate and we do have full public liability insurance. Remember that an experienced DJ is able to get your guests onto the dance floor and keep them dancing by playing only the best party tunes from various decades. Your own song list is welcome and we do also take song requests on the night. For more information and competitive quote please see the website. Although we cover all types of function we give priority to wedding receptions. We will travel to any venue throughout Essex to provide a first class mobile disco at your evening wedding disco and we will keep in contact with you leading up to your wedding day. Microphones can be made available for your wedding speeches if required and we will make all important announcements during the evening, such as your first dance and the throwing of the bouquet. It is most important to have an experienced and professional DJ in charge of your wedding music on your very important wedding day to ensure a successful evening. The karaoke can be added to any party event, such as your birthday, your kids party, or even your wedding reception if you wish. It's a fun karaoke with around 3000 songs with the words appearing on a 32" colour TV. Song books are also supplied. So whatever your reason for having a party please be sure to visit our website for more info and contact details. 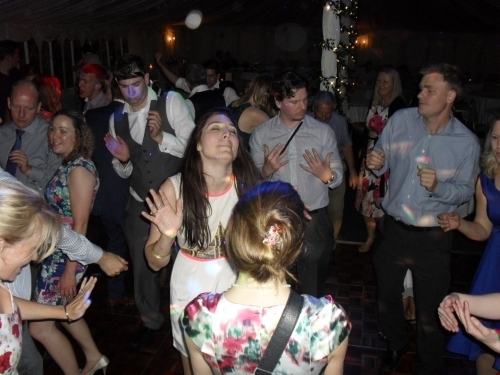 We recently set up the mobile disco at Little Hallingbury Mill and it was easy to fill the dance floor. The room was the size of the average lounge but there was a very good party atmosphere throughout the night. The bride and groom were very pleased with the wedding entertainment as their guests managed to find a place on the dance floor. This venue is not for the larger wedding parties but a small gathering will party the night away. In order to continue to improve our mobile disco services we have added a photo slide show to the wedding entertainment which allows guests to upload their photos to be shown on a 17" monitor throughout the evening. This service should prove very popular for Essex weddings. Due to demand for wedding reception entertainment this company continues to grow and we will soon be requiring more experienced DJs to share in our success. Although we concentrated on Essex weddings initially we have recently attended weddings in Kent, Herts and London and so welcome enquiries from Essex and surrounding counties. Having started the company in 1997 we have taken on board some very professional Essex Djs to entertain at your wedding reception in Essex and neighbouring Counties. Your Essex wedding Dj will always aim to provide the best party entertainment at your evening reception by playing the right music for your guests to dance the night away. It is most important to have an experienced wedding Dj in charge of the wedding disco to ensure a professional ending to your very special wedding day. From the first dance to the end of the night circle your Dj will make all toastmaster announcements and invite song requests. Your own playlists are also most welcome. A bubble machine is also available during the night and looks great in the photos. So if you are looking for the best Essex Dj to entertain your guests please enquire about our wedding disco package. Although based in Basildon our party djs will travel to any venue in the County of Essex. Please visit our website for more info and competitive quote. We are a professional team of experienced MOBILE DJS and specialise in WEDDING ENTERTAINMENT throughout ESSEX. With excellent disco lighting and quality sound systems we aim to keep your guests on the dance floor for a very successful evening. Your own song list is always very welcome. Please phone or email for a FREE QUICK QUOTE. NOTE - We also cover BIRTHDAYS, KIDS PARTIES, and KARAOKE for any occasion. Essex Wedding Djs are now able to offer a "photo slide show" or "video show" on a choice of 32" tv screen or the larger 60" projector screen. This can create a great visual show for your wedding guests, or indeed any party event. Ideal if you are getting married abroad and are having a celebration party for your family and friends back home. Please see our website for more information and enquiry form. 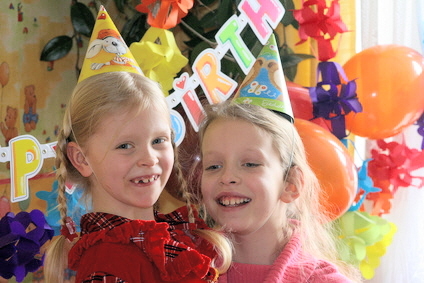 We are also available for your Birthday parties and can provide karaoke for any occasion. Essex Wedding DJs have expanded and can now offer a beautifully decorated SWEET CART to any party occasion. With up to 15 varieties of sweets, scoops, tongs and sweet bags, you will be sure to keep your guests happy. Our sweet cat is also attended by one of our trained staff to assist as required, top up the sweets if necessary, and generally keep the sweet cart tidy. Thank you Gary for making my 65th Birthday party so special, everyone commented on the wonderful music you played and it was a sound level where people could hear themselves talk, but still enjoy the dancing. Thank you again Gary, would highly recommend you to anyone. Thank you Garry for your service and professionalism. You made the whole process easy which gave me one less thing to worry about running up to the big day. You are just what I wanted in my wedding DJ, and I hope to use your services again. Would like to thank Garry for the 2 fantastic discos he DJ'd for on Friday night. He got the balance just right, party games and dances and lots of interaction from Garry for the Infants disco then stepping up the tempo for the juniors with some older party games - the kids had a great time and so did the helpers! Will definately book again, thank you! We had Garry DJ for my Grandsons Christening party. He was totally professional, reliable, helpful and polite. He catered to all the guests needs and requests and the lighting and sound were exactly right for the venue. I would totally recommend him and would have no hesitation in using him again. Fantastic disco, all my guests enjoyed the evening, Garry had everyone up on the dance floor, played music to everyones taste to keep the party going. Totally professional and easy to deal with. All requests were fulfilled, and would highly recommend. Garry was the DJ for my party. I was really impressed with the music he played and he is very professional to deal with. Fantastic DJ. Would definitely use again and recommend to friends and family! Thanks for Garry for being DJ at my son's wedding. He was punctual, helpful, the music was tailored to the quests present, (with requests played), and the volume and lighting were set at ideal levels for the venue The evening reception was a success due to him. We appreciated especially his organising and compering wedding events such as the throwing of the bride's bouquet and the send-off for bride and groom. Would definitely recommend. Your wedding is a most special occasion and you will need an experienced mobile dj to ensure a successful evening. 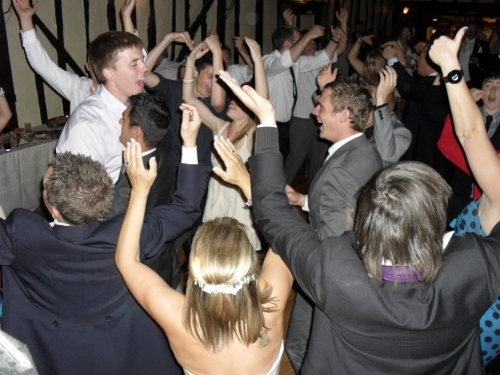 At ESSEX WEDDING DJS we specialise in wedding entertainment throughout Essex. Please see our website for further information. A fun disco available for kids of any age with games and prizes to suit the age group all included. The older kids may prefer the karaoke option. All discos come with disco lighting, bubble machine, song requests, and public liability insurance. Had an amazing night, top dj, thank you so much. Gonna keep your number if that's ok to pass on to anyone looking for a dj. I just wanted to say a big thank you for doing Daisy's birthday party on Saturday, she loved it, the kids were entertained throughout the party, excellent job.